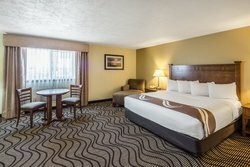 Make yourself at home in our beautiful hotel rooms and suites in Coeur d’Alene, Idaho. 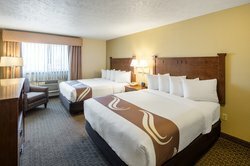 Our pet-friendly hotel is smoke-free, includes free Wi-Fi and complimentary breakfast to all guests ensuring an enjoyable and hassle free stay. 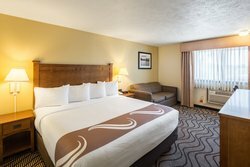 During your time with us, hang out around the hotel at our indoor pool and fitness center, or get out to explore the city of Coeur d’Alene and enjoy stunning views and outdoor activities. 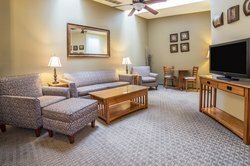 In the morning, head down to the lobby to pick up a complimentary national or local newspaper to keep yourself up to date on all of the news and current events. Our affordable Coeur d’Alene hotel rooms are equipped with large, comfortable beds with tons of extra space to make you feel like home. Our luxurious suites feature amenities like full kitchens, living rooms and extra beds. 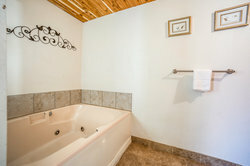 Perfect for a romantic getaway, our Jacuzzi suite comes with a large Jacuzzi tub! 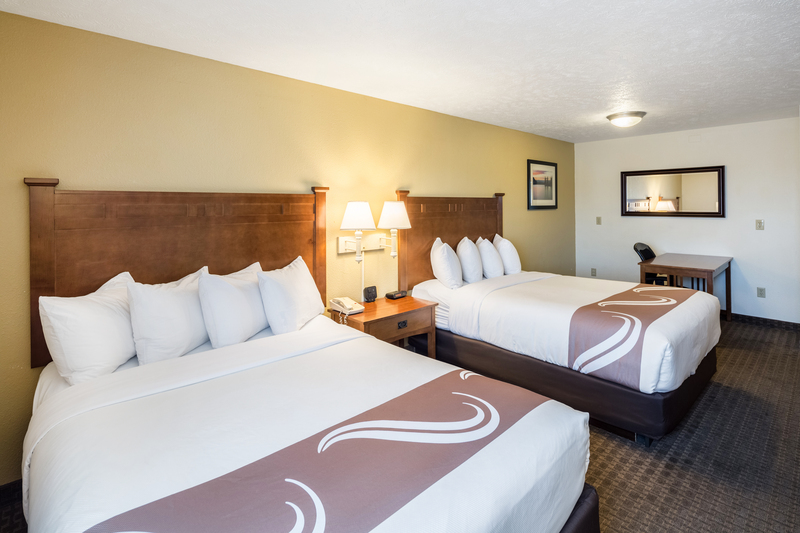 In the Family Suite at the Quality Inn & Suites Coeur D’Alene, there is room for everyone. 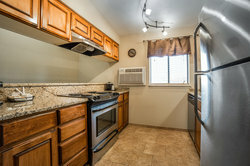 With a king size bed, a queen size bed, and a sofa bed, six guests can comfortably sleep and enjoy this spacious suite. 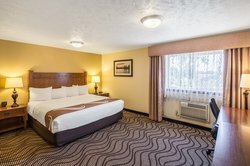 Enjoy all the amenities you’ll need for a great stay when you book a Deluxe King Room at the Quality Inn & Suites in Coeur D’Alene. 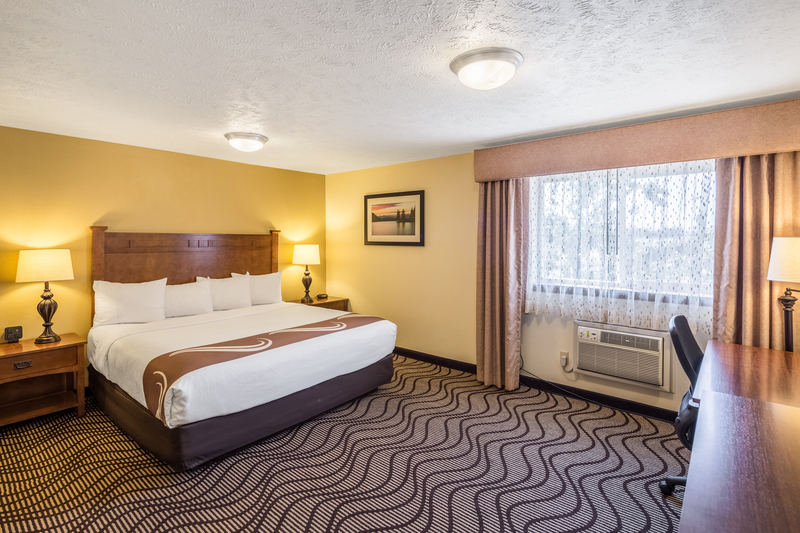 Whether we are a stop on your road trip, or you are spending your entire vacation with us, you will be sure to have a fantastic night’s sleep. 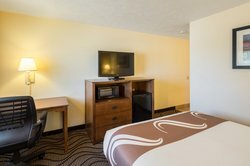 Our Deluxe King Rooms feature a plush king size bed, a microwave and refrigerator, free Wi-Fi, complimentary breakfast, and more! Enjoy a little extra space, and an extra bed when you book a King Room with a Sofa Bed. 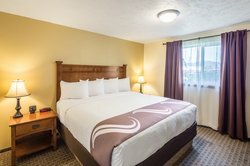 These rooms can sleep up to four guests, so you can stay with family or friends when you visit Coeur D’Alene. During the day, go out and explore our beautiful city, and then come back to enjoy a great night’s sleep! 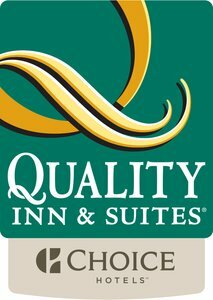 If you are looking for a place to spend the night in Coeur D’Alene, look no further than the Quality Inn & Suites! 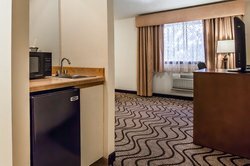 Book a Standard Queen Room and enjoy features such as an in-room microwave and refrigerator, as well as free breakfast in the morning! Wake up feeling rejuvenated and enjoy your stay with us.